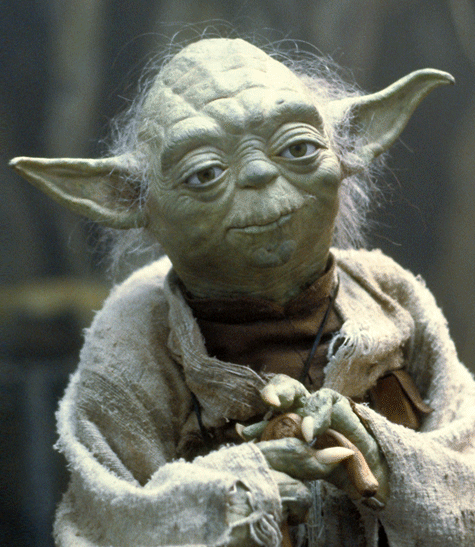 If the TES’s Behaviour Guru Tom Bennett is Yoda, then the Emperor must be Sue Cowley. Whereas Tom brings only enlightenment and mastery of the ways of the Jedi knight, Sue will advise young padawans to pretend to eat dogfood, or bribe their enemies with free time on the computer, and otherwise lead them to the dark side of the force. For some reason, saying this sort of thing hasn’t made her my biggest fan so I found myself wondering whether her recent blogpost (quoted below) on why anonymous bloggers are little better than Goebbels, might have, to some degree, been inspired by me. Then there are the blogs that I read that are written by anonymous bloggers, quite a few of which use anecdotal examples to make a political point. And herein, for me, lies a problem. As a writer, I know that hyperbole and exaggeration are very tempting. To paraphrase Michael Gove, these writing styles are the ‘enemies of honesty’. In teaching it’s awfully easy to take your own experiences, to describe what happened in, shall we say, an over dramatic way, and then to extrapolate from that to state that this is how it looks in every school. I suspect you are aware of whom Mr Gove refers to when he says ‘a very informative voice in the education debate’. As the creator of the blog, that exposed the Mr Men history lesson, writes under a pseudonym we will never know whether he is actually a real educationalist or someone in the Gove camp. The Chinese call them the ‘fifty cent-ers’ – bloggers paid 50 cents to post Communist party propaganda on the internet. Andrew Old (a pseudonyn) [sic] whom Mr Gove has paid homage to several times over the past month – despite Mr Old being a labour supporter (before anyone takes umbrage I ‘say’ that with my tongue firmly in my cheek). The accusation that I am pretending to be a teacher or a Labour supporter (presumably for the glamour and glory associated with those positions) is so absurd that it is probably best met with satire, and I have done my best here to parody those who are most desperate to doubt what I say. However, I think it is probably best to make it 100% clear why I chose to be anonymous. 1) So I could talk about behaviour without kids being identifiable. Some of the non-anonymous bloggers end up making the things they write less accurate in order to preserve the anonymity of the children involved. I have never blogged about my current school, in fact the most recent work-based anecdote on my blog was from a supply position almost 3 years ago, but originally I was blogging in part to try to relate what happened in schools about behaviour and anonymity (along with other precautions) helped me talk about kids without any risk that they could be identified. 2) So I didn’t get sacked or struck off. Usually using point 1 as a justification, teachers who have revealed what goes on in schools have tended to end up in trouble. See Katharine Birbalsingh , Angela Mason and Alex Dolan. 3) So I didn’t get it in the neck at work. Before I got the hang of this anonymous blogging thing, I once spoke to an educational reporter for a national periodical suggesting behaviour was an issue in schools (but with no specific examples given). The report gave enough of my real name to identify me if you knew me personally (but not enough for parents of kids I teach to pick up on). It didn’t mention the school; it only gave enough information to narrow it down to about 5 dozen possible secondary schools. The very next day the head came to see me. He’d spent the morning on the phone with headteachers from those other schools who had been concerned to identify the culprit. 4) So I didn’t get stalked. For some reason some people get obsessed with bloggers. If you blog under your real name you can get some really weird attention, often for no discernible reason. One contributor to a teaching forum told me that they’d had an unstable person they’d encountered online phone up their school and make bizarre accusations to their headteacher. Some real horror stories exist out there and, if you are going to say anything controversial, anonymity may be safer. 5) Because some opinions are bad for your career and job security. In the current teaching climate, teachers are likely to be observed by OFSTED inspectors or SMT who believe that teacher talk is bad, that lessons should be fun and that encouraging kids to talk is better than getting them to work quietly. While they can’t be watching you all the time, publicly attaching your name to something disagreeing with this orthodoxy could make you a target of extra scrutiny. Not surprisingly, many of those who complain about anonymous bloggers are those who would be first to promote that orthodoxy. 6) There is a culture of denialism in education, which, in the first instance is enforced by persecuting those who speak out. I have seen teachers who spoke out in the media attacked at quite a personal level, including being denounced in the press by former colleagues and having details of their past dug up. There’s been no shortage of hatred aimed at me over the years, and I’m not sure I am the sort of person who would easily cope with such treatment if it was aimed at me in real-life rather than my online persona. 7) If you speak up you will be personally blamed for the problems you report or attacked as an idiot or madman for mentioning them. Back when I was blogging regularly about behaviour, I would frequently be told that the problems I described must be my own fault (amusingly in some cases where I was actually describing somebody else’s experiences). When I was discussing controlled assessment in schools during the GCSE English farrago, I would often be told that if I knew cheating was going on then I was to blame if I hadn’t immediately reported it to the authorities. Whenever I dare suggest that a particular teaching method doesn’t work I am told that I must be too incompetent to have used it correctly. Anonymity takes the sting out of a lot of the accusations and insults hurled around. Before I came out as a Labour supporter, the people who told me I should be ignored for being a Tory were always amusing. When people tell me I can’t possibly comment on the teaching of their subject and it’s actually my subject too, or they tell me I don’t understand a particular issue in education and it’s actually something I studied at postgraduate level, I know they are bluffing. Anonymity also provides a deterrent to those who would attempt to bluff, frequently people try to find out what I teach before they try to convince me of some outrageous claim about their own subject. In this respect anonymity keeps debate a bit honest and gives less scope to base it on personal authority or personal attacks (like comparing people to villains from Star Wars). I am very impressed by those bloggers who do manage to blog under their own name, but it is no exaggeration to say that it is a frequent occurrence for me to be told things, in person or over the internet, by these bloggers which they are unable to say in public. One in particular sends me the most wonderful articles every few months with an accompanying note saying “please don’t show this to anybody”. There is no denying that there are consequences for speaking in public about what goes on in our schools and for taking sides against those unelected people with power and influence in the system. I know some of the people mentioned alongside me in Gove’s speeches became concerned that being praised by the Secretary of State could harm them professionally and I know people who are incredibly outspoken who have refused to say anything on the record about some topics in teaching. If people don’t want teachers to blog anonymously there has to be a change of culture in education not a change on the part of the bloggers. Proper professional debate needs to be permitted and we are far from that position now. It amused me that some of the very people who described Gove’s Mr Men speech as a personal attack on the designer of the Mr Man resource (whom he has not named in anything I have seen or read) are also the same people who have criticised anonymous bloggers. If they considered the debate in the Mr Men case to be too “personal”, why do they want debate over what we say in blogs to be equally personal? Ultimately, I think there are those who simply do not want to debate the issues and merely wish to divide the world into goodies and baddies and anonymous bloggers make them uncomfortable because they cannot always find precise grounds to declare them to be bad. Run a club in Soho, I did. Mention it, I will. Thank you for this, it’s very interesting to hear some of your context and the backdrop to why you do what you do in the way that you do it. I don’t claim to have read all your blog posts, but much of what I have read of yours is either very interesting or very sensible – your post on PRP is a case in point, that to my mind summed up the situation brilliantly. In many ways it’s a great shame that you won’t let us know your subject, because if you did then you could share your pedagogical ideas about how best to teach it. I’m really sorry but I can’t help the fact that some anonymous bloggers leave a bad taste in my mouth. It’s my mouth, I get to say what the taste left behind is. I don’t like hearing teachers bad mouth their colleagues and making sweeping generalisations in order to push a particular viewpoint. I edited and edited my post until it was only about how some bloggers made me feel, rather than about saying anonymous blogging is inherently wrong. I’m not saying that anonymous bloggers are lying, just that they need to assess what they say for precision, just as you do when you write under your real name. I totally get why you might want or need to blog anonymously. I do also struggle where teachers use their relationships with children to make a point, unless the point they make is a sensitive one that moves the profession or the individual teacher forwards (as in redorgreen’s blog the other day, note to self: they’re only children, which was beautifully done). I do honestly think that a good acid test is to ask yourself: if this was my child, would I want someone using this story in this way in a public forum? Kids make good copy, but that doesn’t automatically make it right to write about our interactions with them. Yes it’s a good idea for you to highlight the bad behaviour that happens in some schools (and yes, it’s often due to bad management or wider reasons such as inclusion or bad parenting). I wonder why Gove is so silent on this topic – do you have any thoughts on that? I read something the other day on headguruteacher’s blog, which struck me as a great point: ‘if you don’t like my idea, then give me a better one’. No one has to buy my books, and you are of course entitled to vehemently dislike what I write in them, but many teachers obviously find them helpful. That’s all really. Thanks. Aw Andrew prodded Sue with his lightsabre and she went all reasonable on us. I believe it to be true that in the old days, if you said something defamatory about an individual or implied that they were unable to carry out their profession properly, you might be held to account. And rightly so. It used to be the case (in my experience) that if you wanted to criticize someone or their work then you could do so, but you would make sure you were in the right before embarking on such a course. It used to be the case that if you disagreed with the culture and values of the organisation in which you worked, you would, as Sue Cowley suggests find an organisation in which your calues allow you to thrive. Sue Cowley in “Hiding in Plain Sight” discusses the issue very well in my view. She includes a number of very clear examples of bloggers being open about their identities to make statements about the situation and suggest changes. The Tom bennet qoute above is from a blogpost which describes very well the imprecise nature of teaching and learning. I go back as far as Hargreaves describing the various roles of the teacher. The developer of the Mr Men activity put his work out there on the internet for all to see, Although I personally feel that it is unreasonable for people to criticise an activity as a “dumber downer” as if it were a fact, when many other teachers find it useful and effective is for me an issue. I also think it wrong for Gove to do the same, especially as many people who have little or no training will read what is written and assume it is in fact when it is not. After all why would a trained teacher say something is a fact when in fact it is an opinion. The following is a quote from the above blogpost. I think the argument …….”I say things anonymously about others on the internet because my school wouldn’t be happy for me to say these things” is unsound. I understand however that this can be a matter of conscience perhaps. There was a time when I would read Battleground as the posts were incisive, well referenced and interesting. I didn’t always agree with what was said, and there has always been a tendency to be solipsistic but generally I used to think that the posts were interesting and well grounded in research. It is very easy to say “I have to stay anonymous as the world will be mean to me if I don’t” but along with this right, if it is a right come responsibilities. I believe that the posters that Sue Cowley quotes have got the balance about right. I believe that if you are unable to put your name to something (other than perhaps whistleblowing about crimes or unprofessional behaviour) then you should keep quiet or pass the information to someone who is happy to post. The fact that people send you things that they choose not to publish seems to show that some others take this approach. Having purchased “Getting the buggers to behave” and then arguing with Sue Cowley that the book was completely misguided, I am happy to now sit firmly on her side of the fence. I believe that if one is to stay anonymous, one needs to exercise a greater sense of responsibility than he/she who in not. I’m going to assume from now on that bt0558 is your real name. Believe this was a Viz Top Tip: “Don’t waste money on personalised number plates, just change your name by deed poll to BT0558”. As a keen chess player I was waiting for the response. I was going to deal with it at the end of my post but as an issue I think it illustrates the point quite well. You are happy that you post things in the public domain anonymously that I would not. I have not said that people should not post comments etc anonymously on the internet. I have simply said that if one does so, one should exercise the same or even greater level of care than one would in real life. It is my personal view that while Mr Gove crticised the Mr Men activity publicly, you did so anonymously. To criticise someone elses work which casts doubt on their competence/judgement as a teacher on a public forum (blog) anonymously is for me a step too far. As an example therefore I would not have done that. Please note that I do not consider myself blameless in the past and I will be more careful in future when I post comments. This (and recent events in the political arena) have led me to reflect. Anyhoo, I think criticism often enhances the argument for anonymity as a backlash is more likely surely? Why would you think this? Not suggesting I disagree, rather that I don’t understand. BTW, I am persuaded by the argument for anonymity when exercised equitably. Given that Gove is ultimately responsible for the organisation which goes around telling us whether we taught the right way, I think it absolutely vital he express at least some opinions on teaching, even if they shouldn’t be expected to be particularly detailed or expert. There we would have to part company. I believe that as Secretary of State for Education Mr Gove should either be expert/have expert guidance or leave decisions about best practice to those who do. This would be the case in all professions but is especially true in education in my view. Leaving Mr Gove aside, the idea that anyone would make statements about the professional practice of a specific teacher or other professional based upon an opinion based upon inexpert and perhaps incorrect understanding is for me a cause for concern. Done on the internet to the world as a whole I believe the problem is compounded. He commented on a resource, not a teacher. And nobody is going to buy the idea that you need some expertise (which Gove lacks) to see what was wrong with that resource. The irony of you writing this, is that I honestly didn’t have you in the forefront of my mind when I wrote that post. I haven’t read enough of your posts to feel entitled to form a complete view about what you write, although I do sometimes find what you say about children to be a bit distasteful. I would love to know if you’re a parent. Not to say that you cannot comment if you’re not a parent, but just to help me understand why you hold some of the views you hold. I don’t feel it is necessary to conduct a character assassination (even on anonymous individuals) in a blog post, and where I felt a specific situation warranted it, I have commented to bloggers separately on their comments threads about how their writing might be perceived as being wounding to colleagues or to children. I guess they might not listen, or publish my comments, but that to me seems the most appropriate course of action. Why distasteful? Children are people, so, by definition, they can be bad people just as much as adults can. AO is merely being realistic and avoiding sentimentality by acknowledging this simple fact. ew yuk, why the enquiry about parenthood? Anyhooo, Im a parent and current teacher and manager and I always post anonymously and will continue to do so till I retire. And my reasons for preferring anonymity are pretty much the ones OA has mentioned above. Glad to see to see OA is getting the recognition he deserves- for some time I have suggested he should be the SoSfE. Never did I think life would be bring me so close an approximation of a flight of fancy! 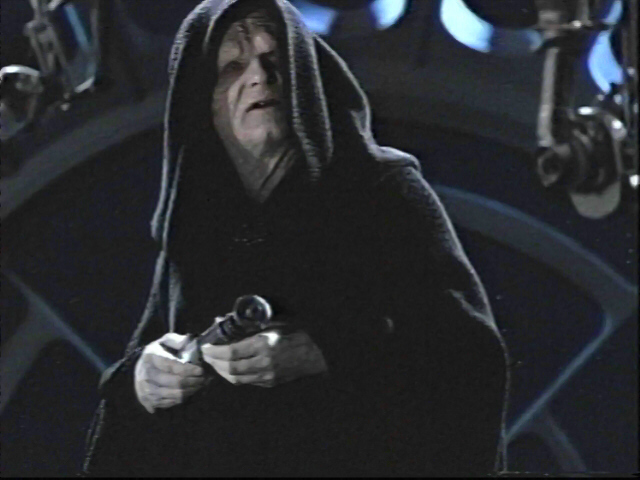 OA may be anonymous but his online persona is very well known and clearly a very significant part of his life…. When I first started posting on the internet (on Mumsnet…) I soon realised that once I was a familiar contributor I had to be careful what I posted or I would lose the credibility I thought I had built up and I was therefore as embarrassed by any comments I subsequently felt showed poor judgement as I would be in a real life context. I think that in the case of a blogger such as OA the fact the name he is known by isn’t the one on his birth certificate approaches irrelevance given his profile is all online, except in that it protects his livelihood. As teachers you are very limited in what you could post with your own name. Using an alias allows us to express more of our feelings, over time a genuine alias rather than sock can retain integrity and honesty. In other news i can confirm oa as both a labour supporter and not a gove puppet as we have crossed paths many times over the last years, although confession time i have done so under various names due to my inability to remember passwords!